What Is the Ripple Effect Film Project? 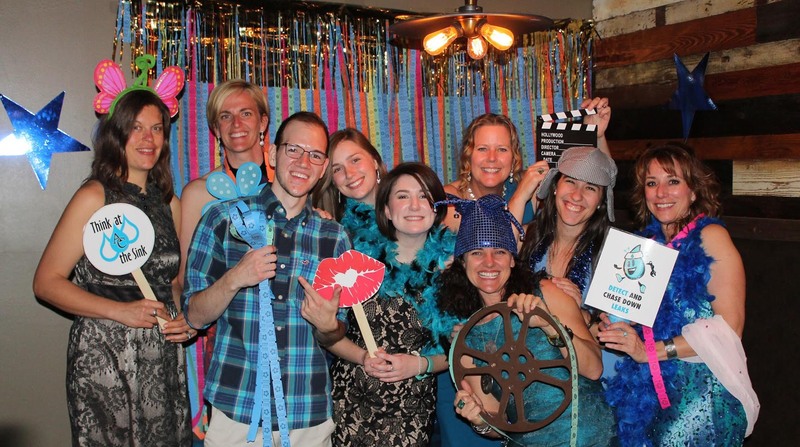 The Ripple Effect Film Project was founded in 2013 as part of the EcoFocus Film Festival. REFP is a short film and PSA contest for filmmakers of all ages and abilities. Filmmakers from Georgia submit films and PSAs about a variety of environmental and water-oriented topics. In 2016-2017, ECOGIG partnered with REFP as a way to engage statewide filmmakers and audiences about ocean conservation topics. The 2017 theme "Ocean Connections" asked filmmakers to examine our relationship to the ocean and demonstrate the impacts of our behaviors and decisions on the ocean. Films were submitted in January 2017, and the finalists were shown at the "Blue Carpet Permiere" showcase in March 2017. More information about the Call for Submissions and Blue Carpet premiere are below. See photos from the Blue Carpet Premiere! 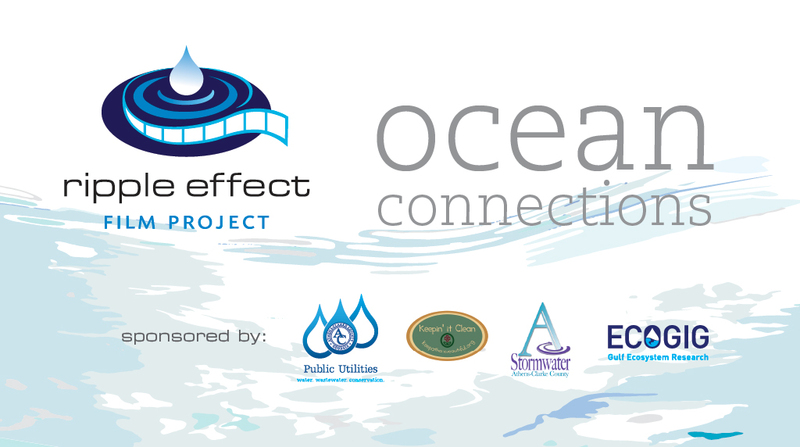 ECOGIG is thrilled to co-present the 2017 Ripple Effect Film Project! For the first time, the Ripple Effect organizers ask filmmakers to consider the impact of human behavior on the world’s oceans. What actions do we take (or not take) each day that may affect ocean health, regardless of where we live? We make daily choices about our energy and water use, transportation, food, consumer products, and keeping our waterways clean. Your film should focus on a key issue from the Ocean Connections List, and should establish a connection between the key issue and the health of the ocean. Ideally the films will highlight eco-positive actions that ‘do the right thing’ for the ocean. Georgia filmmakers of all ages and abilities are invited to submit short films and public service announcements. Finalists’ film will be premiered at Athens’ historic Morton Theater on March 25, 2017. Films must be submitted by January 31, 2017. Using fossil fuel based energy to power our computers, provide light and heat, and air condition our homes and businesses impacts the ocean. Burning fossil fuels contributes to a warming climate, which raises ocean temperatures and sea levels, and contributes to the acidification of the ocean. KEY ISSUE AND FILM TOPIC: How can a person, family, school, church, workplace, or community reduce their energy use? Thermoelectric power plants use energy – often from coal or other fossil fuels – to boil water and create steam, which then spins turbines to generate electricity. Production of electrical power is our largest use of water in Georgia. Adopting water conservation strategies results in lower demand for fresh water and energy. Water conservation also reduces the energy used by local governments for treating and distributing drinking water and collecting wastewater. Thus, water conservation and energy conservation work hand in hand to protect the Earth and its oceans. KEY ISSUE AND FILM TOPIC: How can a person, family, school, school, workplace, or community reduce their water use? The production of animal-based foods, like meat, eggs, and dairy, is associated with higher greenhouse gas emissions, which negativelyimpactstheocean.One-thirdofglobalfreshwater consumption is for animal agriculture, and livestock or livestock feed occupies one-third of the Earth’s ice-free land. The use of chemical fertilizers and pesticides in animal agriculture is the leading cause of water pollution and ocean dead zones. Human demand for fish has led to overexploitation of wild fish species and reduced biodiversity and stability of ocean ecosystems. Check out the Seafood Watch app from the Monterey Bay aquarium to guide your seafood choices. KEY ISSUE AND FILM TOPIC: How can a person, family, school, church, workplace, or community change their food choices to reduce negative impacts on the ocean? Many of the products we buy – household cleaners, plastic bags, containers, toys, and cosmetic products containing micro-plastics and chemicals – have a negative impact on the ocean. The production and disposal of so many consumer products – many of which are single-use – rely on fossil fuels and can lead to chemically-polluted waterways and plastic particles in the ocean. KEY ISSUE AND FILM TOPIC: How can a person, family, school, church, workplace, or community reduce their consumption of plastics? Ourpersonalvehiclesareamajorcauseofglobalwarming. Collectively, cars and trucks account for nearly one-fifth of all US emissions, emitting around 24 pounds of carbon dioxide and other global-warming gases for every gallon of gas. About five pounds comes from the extraction, production, and delivery of the fuel, while the great bulk of heat-trapping emissions — more than 19 pounds per gallon — comes right out of a car’s tailpipe. We can – as individuals and as a society – make better transportation choices to protect the Earth and its oceans. We can walk, use public transportation, ride a bike, or carpool. As a society we can support the development of stricter fuel-efficiency standards, cleaner burning fuels, electric vehicles (supported by a ‘greener’ energy grid fueled by alternative energy), and creative urban planning solutions that reduce reliance on the car. KEY ISSUE AND FILM TOPIC:How can a person, family, school, church, workplace, or community reduce their dependence on the car? A 2015 study led by a University of Georgia researcher estimated that 8 million metric tons of plastic trash enter the sea from land every year. Marine debris affects waters and coastlines around the world. Although we might not all live near the coast, the way we treat our local streams and rivers affects the ocean. Other pollution from land – trash, human or animal waste, runoff from roads and highways, fertilizers and pesticides – reaches our oceans through stormwater management infrastructure and wreaks havoc on important ocean habitats. KEY ISSUE AND FILM TOPIC: How can a person, family, school, church, workplace, or community change their behaviors to reduce their impacts on our waterways?